A replica of the Red Bulls away jersey, built for dry comfort. For teams as consistent as the New York Red Bulls, the road holds no fears. This junior boys' soccer jersey is a version of the one the players wear for away games. 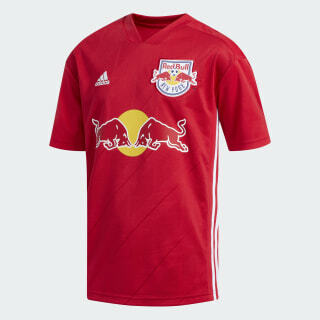 Made with a slightly looser cut than player jerseys, it features moisture-wicking Climalite and displays a sewn-on Red Bulls badge. adidas is dedicated to creating products in ways that minimize their environmental impact. 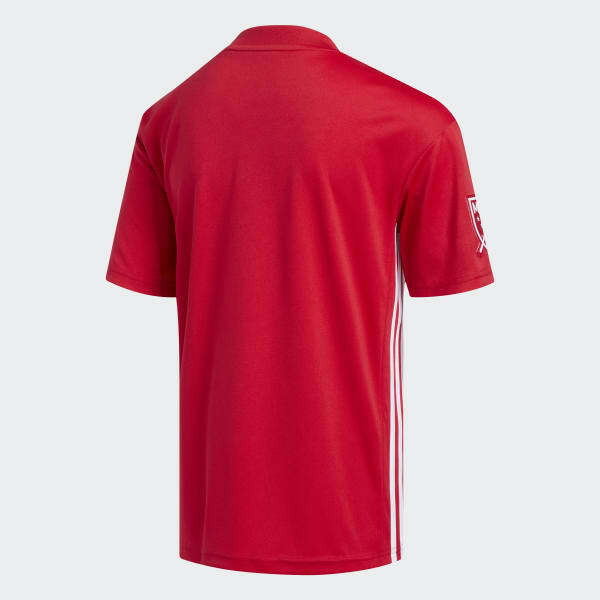 This jersey is made with recycled polyester to save resources and decrease emissions.